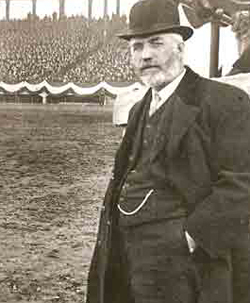 The ground was broken for Fenway Park on September 25, 1911 just days after John I Taylor sold his share of the Red Sox to James McAleer. Taylor stayed on however to oversee the construction of his new ballpark. Through the fall and into the winter construction took place. In fact it started before any permits were issued by the city of Boston to do so. Taylor hired the Charles Logue Building Company for the construction of the park, James McLaughlin was the chief architect and the Osborne engineering firm of Cleveland was responsible for all the engineering services. All names and faces lost in the pages of history never knowing that the impact of their endeavor would reverberate down through the ages for generations. 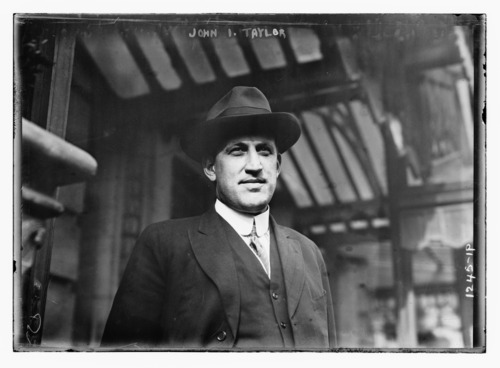 This entry was posted in Fenway Park Baseball and tagged 1912, Charles Logue, Fenway Park, John I Taylor. Bookmark the permalink.